I went to a CAMRA beer festival at the National Cycling Centre in East Manchester on Saturday afternoon. I thought I'd limber up for it by going to a few places I'd not been to before in the Northern Quarter, the former warehouse district now transformed into an alternative cultural area in the northern part of Manchester city centre. The Micro Bar in the market hall of the Arndale Shopping Centre is run by the Boggart Hole Clough Brewery in North Manchester whose beers I've enjoyed a few times at beer festivals. As well as the couple of handpumps on the bar, the attached bottled beer shop seemed to be doing a decent trade in the half hour or so I was there. The Lower Turks Head on Shudehill reopened as a hotel and pub a couple of years ago after being closed for more than two decades. It wasn't quite as ornate or cosy as I'd expected - it's been knocked through into a wine bar next door - but it was busy with football fans on the way to the match and the Black Sheep Best Bitter was fine. Just round the corner is the Abel Heywood, Hydes Brewery's flagship city centre bar and hotel, named after the one-time Chartist and Radical who became mayor of Manchester in the 1860's, which opened last year. It's a lot less "boutique bar" and far more pubby than I'd imagined and had a good mix of regulars, football fans and tourists, friendly staff and a decent selection of beers from Hydes' Beer Studio range on the bar. Adding the Hare and Hounds, a couple of doors up Shudehill from the Lower Turks Head, and the Unicorn, just across Church Street from the Abel Heywood, to my mini-crawl would I reckon make for a fine circuit of some of Manchester's most atmospheric drinking establishments, all of them within a relatively small area between Tib Street and High Street. 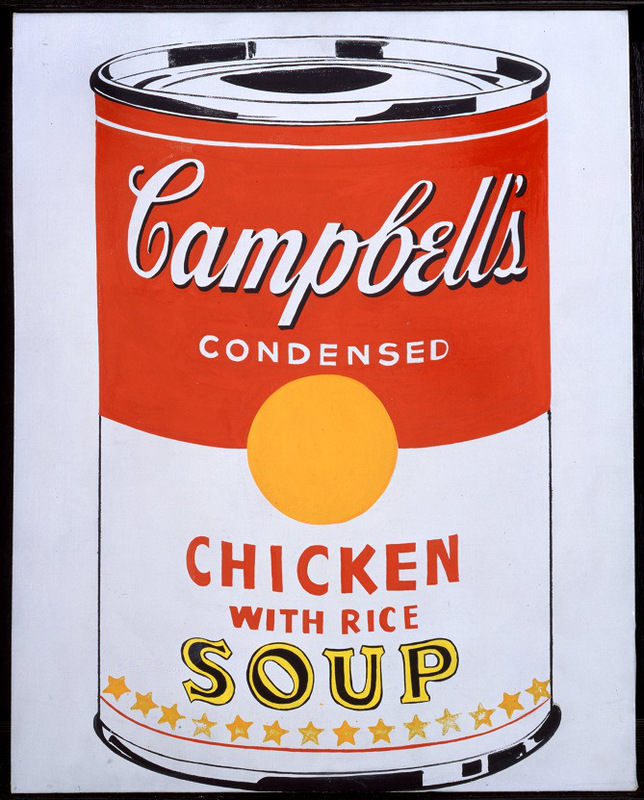 I watched BBC4's Soup Cans and Superstars: How Pop Art Changed the World the other day. 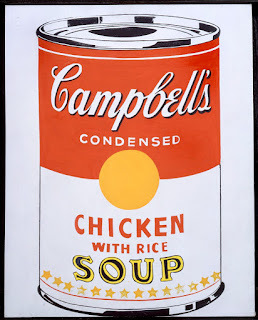 Much of it was familiar stuff - Roy Lichtenstein's cartoons, Andy Warhol's Campbell's soup cans and Marilyn Monroe screenprints - but there were also quite a few artists I hadn't heard of before. As you'd expect in a programme largely about New York in the fifties and sixties, there was a lot of jazz on the soundtrack, especially by Miles Davis. One thing that hadn't really struck me before was how British pop art preceded that of America, starting in the early rather than late fifties. Peter Blake, who appeared on the programme, even claims to have invented the term "pop art". Yesterday, Radio 4 broadcast a dramatisation of Keith Waterhouse's play Jeffrey Bernard Is Unwell. 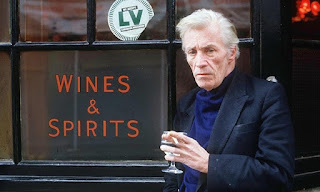 Bernard, played by John Hurt, is a journalist who, with his pals including the painter Francis Bacon and actors John Le Mesurier and Denis Shaw, inhabits the pub and clubland of the bohemian Soho area of London's West End. The play is set around the time of its first production in 1989 and takes place in the gents of the Coach and Horses pub where Bernard, having passed out after a drinking session, has been accidentally locked in for the night. Much of the humour stems from Bernard's anecdotes about the drunken escapades of himself and his friends. I wonder if it would be produced on the West End stage today in these more censorious times or whether the anti-drink lobby would succeed in having it banned. I picked up a bottle of this after seeing a label for it posted by Ron at Shut Up About Barclay Perkins. Drinking mostly in Stockport and South Manchester, I rarely go to pubs owned by J.W. Lees, a family-run brewery in Middleton just north-east of Manchester whose tied estate extends across Rochdale, Oldham and Bury. The only one I've drunk in at all regularly, and even then not for a while, is the Rain Bar, their flagship pub on the banks of the Rochdale Canal in Manchester city centre. Unlike some, I quite like the biscuity malt taste in their draught bitter, mild, golden and strong ales. According to the back of the bottle, Manchester Star Ale is brewed in collaboration with the Brooklyn Brewery in New York to a recipe from 1884. At 7.3%, it's a strong ale now, although I'd be interested to know what it was called then. I suspect it might have been one in a range of milds, and maybe not even the strongest. Brown-black in colour, it's very smooth and has a fruitiness that reminded me a bit of Belgian Trappist beers. It's the kind of bottled beer which would attract me to a pub that doesn't sell cask beer and one which I'll be looking out for in the future.